A life-saving drug, no prescription necessary, in MontCo, Pa.
Opiate-related deaths are on the rise in the region, with Montgomery County seeing 31 in the first quarter of 2015. To stem the rising tide of opiate addiction and death, officials are putting a life-saving drug in more hands. On Thursday, Montgomery County Commissioner Val Arkoosh issued a standing order for pharmacies to provide naloxone without a prescription. Naloxone, sometimes called by the brand name Narcan, blocks the effects of opiates during an overdose. Interim director of the Montgomery County Health Department, Denise Wallin, said the county will begin recruiting pharmacies to sign on to the order next week. 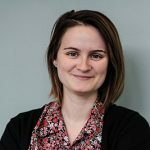 “Once a pharmacy participates in the standing order, an individual can go into one of the participating pharmacy and just ask … for naloxone,” she said. Participating pharmacies will be listed on www.montcopa/overdoseprevention. A similar program launched in Allegheny County in May. According to Karen Hacker, director of the Allegheny County Health Department, 21 pharmacies have signed up to participate. As of August, she said, a total of 16 kits had been purchased. Marie McCartney, director of facilities with the Montgomery County Methadone Center, said increased access will help mitigate the shame that can come with addiction. “Some people are apt not to want to go to their doctor and tell them, ‘Look i’m using heroin. I need a prescription for Narcan,'” she said. Cost can sometimes be a barrier, however. While Medicaid and insurance can cover the administration of naloxone in a medical setting, take-home kits are less likely to be covered. Prices have also increased dramatically in recent years, alongside rising demand. The two types of naloxone covered by the standing order — via nasal spray and auto-injector — are also more expensive, if easier, than injectable naloxone. Hacker said her team has been recommending users buy the nasal atomizer separately, along with two doses of naloxone, for a total cost of about $45. Local and state authorities across Pennsylvania have been steadily expanding access to naloxone. 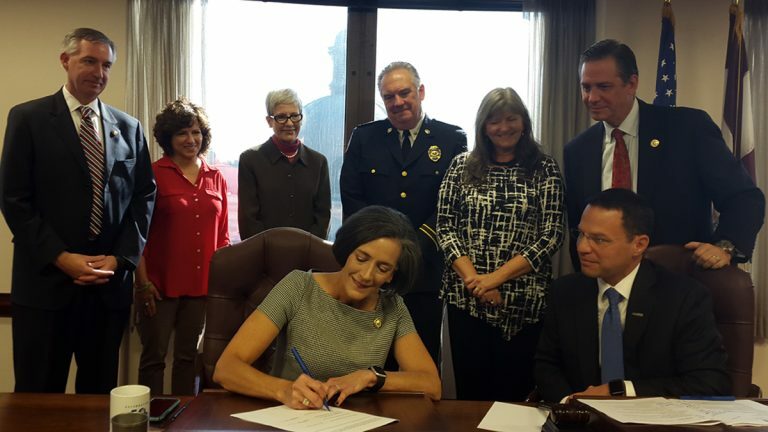 Last year, the Legislature passed Act 139, allowing law enforcement, firefighters, emergency personnel to administer the drug. That access is already saving lives. The handful of police departments in Montgomery County carrying the drug report reversing 16 overdoses since April. The district attorney’s office has committed $160,000 in money from drug forfeitures toward equipping every police and EMS vehicle with a rescue kit.